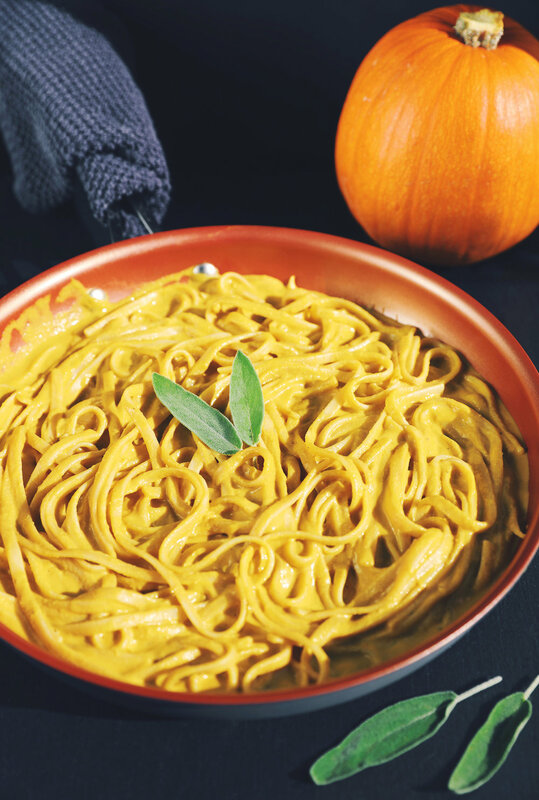 Enjoy all of the pumpkin with this creamy, vegan-cheesy, double pumpkin cream sauce. 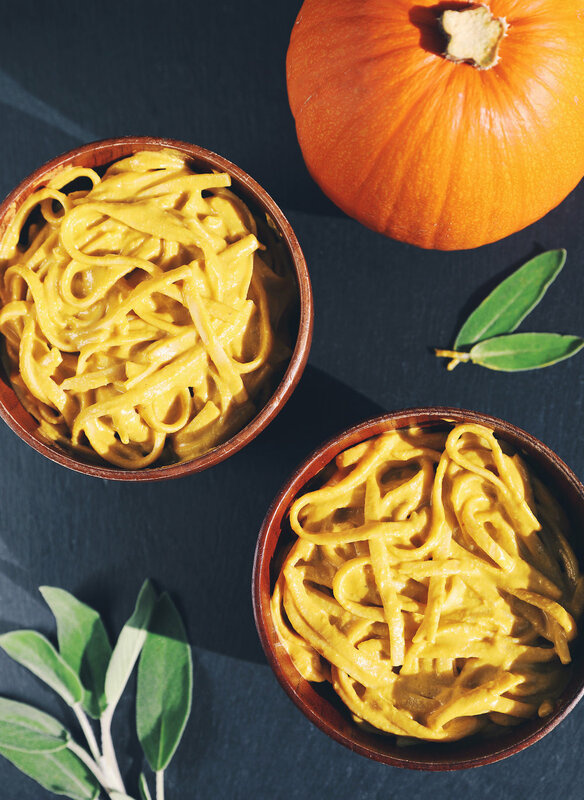 Pumpkin seed cream and pureed pumpkin are blended together with savory onions, garlic, nutritional yeast, and sage to make a deliciously creamy, autumnal pasta sauce. Pumpkin seed cream + pumpkin puree = pure creamy double pumpkin bliss. When fall began this year, I set out to create a uniquely creamy pumpkin sauce recipe using all different parts of the pumpkin. I’ve seen other vegan pumpkin alfredo sauce recipes which use pumpkin puree along with cashews or coconut milk to make it creamy, but I had never come across a recipe using pumpkin seeds to make the cream before, so I started experimenting. To make this super easy to throw together, I used canned pumpkin puree and raw shelled pumpkin seeds. If you wanted, you could roast a whole pumpkin to make your own pumpkin puree and then individually remove the shells off each pumpkin seed until you completely lose your mind, but I don’t recommend going that route if at all possible. This time of the year, grocery stores tend to make the canned pumpkin puree easier to find, so take advantage of that and save yourself from a potential pumpkin-induced breakdown. The pumpkin taste in this sauce is very subtle and the flavor that comes through the most is a rich cheesy flavor from the nutritional yeast and the miso paste. If you want to taste more of the pumpkin, you can reduce the amount nutritional yeast, but I prefer the cheesier version. First, make the pumpkin seed cream by blending the pumpkin seeds with water until completely smooth. If you have a high speed blender there’s no need to soak the seeds, but if you have a regular blender, soak the pumpkin seeds overnight first to soften them. Once blended, set the blender with the pumpkin seed cream aside for a moment. Next, sauté the chopped onions and garlic for about 7 minutes until browned. Stir in the sage, pumpkin puree, nutritional yeast, pumpkin seed cream, salt, and pepper. Simmer over medium low heat for another 5 minutes while slowly stirring everything together. Remove from the heat and allow to cool for a moment before pouring the contents of the pan back into the same blender. Add in a teaspoon of white miso paste (optional) and blend the sauce together until it is totally creamy and smooth, then pour over prepared pasta of choice. 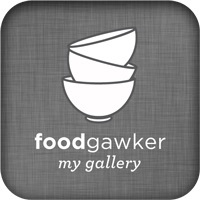 This makes about 27 oz of pasta sauce, or enough for 4-6 bowls of pasta. I keep mine in a jar in the fridge and use it all week. I used whole wheat linguine, but you can use gluten-free noodles or any kind or shape pasta you’d like. 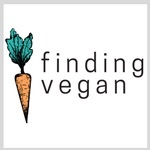 It makes a great fall version of vegan mac and cheese as well! 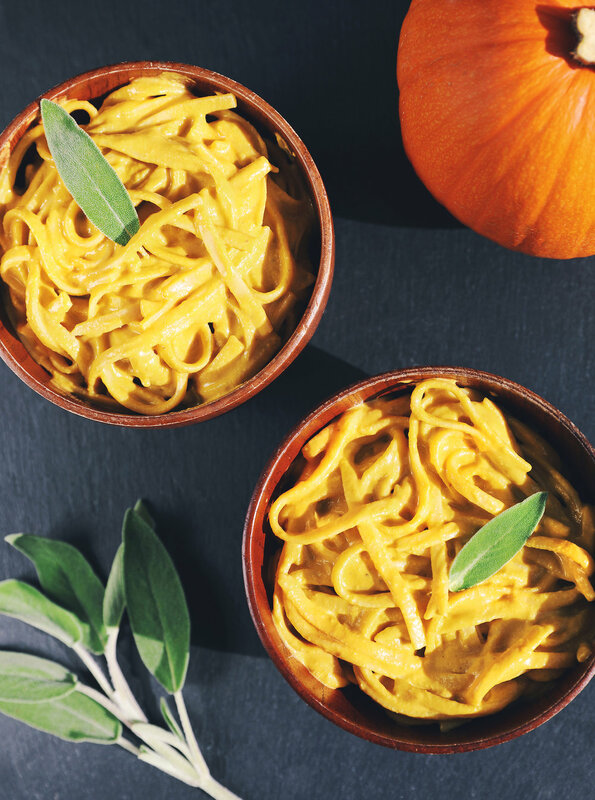 This pumpkin alfredo sauce is a crowd-pleasing recipe that’s easy to make and perfect for pumpkin season. The pumpkin seed cream is a pale green color which makes the color of this sauce a bright almost lime-tinted yellow that is so vibrant and unique. 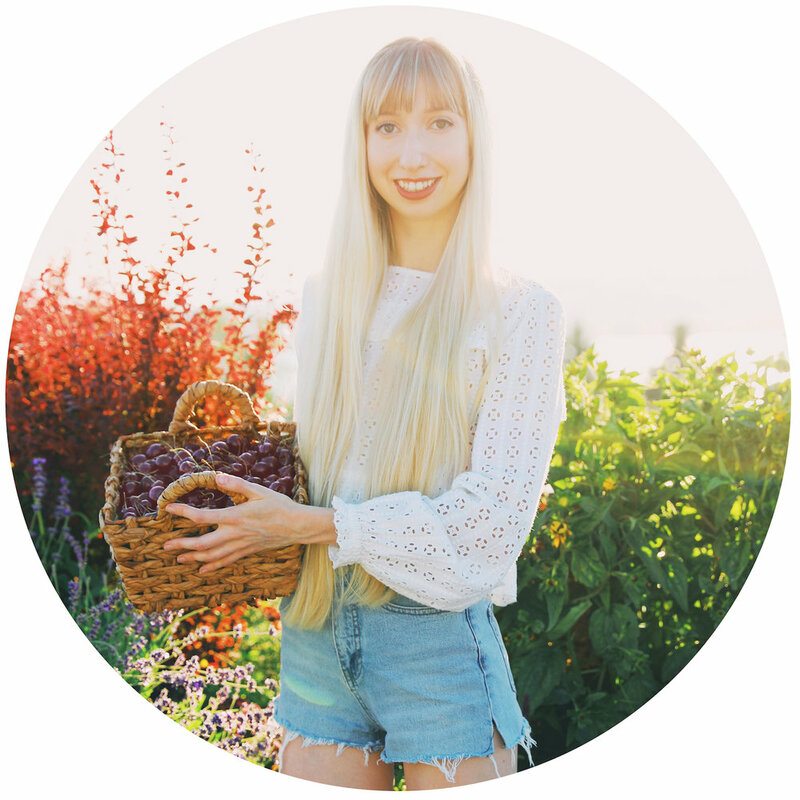 I hope you enjoy this fall recipe as much as I do. Leave a comment below if you try this out, I’d love to hear what you think of it!